The Fast and the Furious has fed our imaginations with car chases and racing, hot ladies and cool cars. That is mainly the reason why the world can't really get over it, because if you haven't noticed yet the series is already in development with its seventh installment -- and what's surprising is it's still hot on the market. Having established that this kind of movie -- equipped with great action and story, superb fight scenes and humungous explosions -- many movies are now jumping over into this trend. Who can blame them? Since there's a lot of monetary success stories in here. 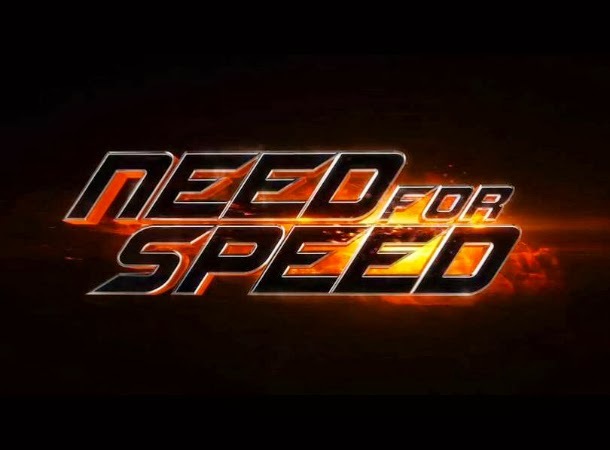 So for another movie that copies this trend, I present to you Need for Speed, and here is its first trailer. Watch the official first trailer of Need for Speed, starring Aaron Paul and Dominic Cooper. Framed for a crime he didn’t commit, muscle car mechanic and street racer Tobey (Aaron Paul) gets out of prison determined to settle the score with the man responsible for his false conviction. Tobey tears up the road in a gritty cross-country journey— one that begins as a mission for revenge, but proves to be one of redemption. DreamWorks Pictures’ “Need for Speed” is directed by Scott Waugh (“Act of Valor”), and also stars Dominic Cooper, Ramon Rodriguez, Rami Malek, Imogen Poots, Dakota Johnson and Scott Mescudi. Need For Speed is directed by Scott Waugh based on the script by George Gatins and John Gatins under Dreamworks Pictures. The movie stars Aaron Paul, Imogen Poots, Dominic Cooper, Ramon Rodriguez, Rami Malek, Harrison Gilbertson, Scott 'Kid Cudi' Mescudi, Michael Keaton and Dakota Johnson. Need For Speed races to your nearest cinema on March 14, 2014 .